Oasis in Sturbridge! Click the photo below for a tour and take a look at the following pictures! There is additional space for a guest room or office. As many of you know-working as a realtor is no joke! There’s a lot of work and time and passion put into each moment. Thanks to all this work and many people’s help and support I am the top realtor in the Shrewsbury REMAX office! Thank you so much! Please let me know if you are looking for some realtor work in Worcester County, MA! Rachel Stults is a deputy editor at realtor.com and co-host of the realtor.com podcast “House Party.” She covers all things real estate, including buying, selling, home decor, renting, moving, and more. Looking for Land in Sutton, MA? I currently have 3 (yes THREE!) plots of land available! Please don’t hesitate to contact me with any questions at all on these properties ranging from a half acre to nearly 18 acres! At affordable pricing for the area -from $50,000-$150,000- there is great potential for your dream home here! Keeping a home clean is one of the biggest challenges that many people face. As you tidy up your home for you and your family, don’t forget about your four-legged friends! Getting your house in order is the perfect time to declutter, clean and organize your pet’s belongings as well. Just make sure to keep these to-do’s in mind as you make your cleaning checklist. As your pet grows and spends more time outdoors, make sure you check for damaged leashes and collars. If either look frayed or like they may break, it’s time to invest in new gear. If not, make sure to give collars and leashes a quick wash. Washing these items with pet shampoo can help get rid of underlying bacteria and dirt. Make sure you also check your pet’s collar tags to confirm the information is up to date both on the tags and your HomeAgain® profile. Once this information is up to date, be sure to keep your HomeAgain number and ID tag information somewhere easily discoverable in the event your pet is lost. If you have a pet that sheds, you know how difficult it can be to get rid of hair throughout the house. Try this simple trick to easily remove hair from stubborn places: dampen a rubber glove and run it over hard to clean areas, such as rugs or couches. This technique removes hair that a vacuum may miss. Just like cleaning a child’s toy box, you should also wash your pet’s toy box to keep items sanitary and throw away any that are no longer safe. You can wash plastic toys with unscented soap to remove bacteria and dirt. For plush or cloth toys, simply throw them in the washer for a quick cleaning. It’s just as important to keep your yard or outdoor space tidy as it is to keep your home clean. If you have a backyard, clear up any leaves or trash that may have blown through. Also make sure your yard is clear of any fertilizers or insecticides, which can be toxic if dogs ingest them. As much as we love playing with pets outdoors, no one wants pests, like fleas and ticks, coming into their house! To keep them at bay, talk to your veterinarian about preventative medications and call them immediately if you suspect your pet has fleas or was bitten by a tick. Tidying up a home can take a lot of time and effort, but the end result is worth it. Just remember, if you’re going in and out of your home during the cleaning process, keep an eye on your pet so they don’t slip out the door with you. If a furry friend does escape, make sure you notify HomeAgain as soon as possible for help reuniting with your pet. Tired of not finding the right home in Sutton? Build your home oasis! This scenic lot is located off of Leland Hill Road on the Grafton side of Sutton. Enjoy coming home to your new construction in the country! Quick access to Routes 146, 395, 290 and the Mass Pike. Commuter friendly to Worcester, Boston, Putnam and Providence. Convenient to the Blackstone Valley Shoppes and Restaurants. Sutton has a newer school system, new Police Department Building and newer shopping center with Market 32, Starbucks and more! Buyer to perform all due diligence necessary for intended use with accepted offer. Raw land available on a great street. Check out this view from Google Maps! You can do ANYTHING you want here! Buyer to perform any and all due diligence but here is a 1/2 acre of completely undeveloped land for your imagination! 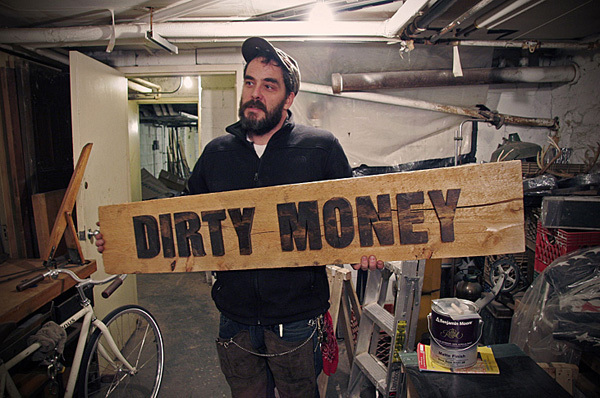 Today we’re inspired by one of the most influential DIY show ever. Nope we’re not talking about This Old House (which debuted in 1978). We’re referring to MacGyver, the action-adventure series that taught us any sticky situation could be fixed with a few mundane items. We asked four DIY experts to share their favorite MacGyver-inspired household hacks and tips. This penny-pinching site known for doling out smart budgeting advice came up with two quick fixes; one clears clogs while the second neatens up floors. 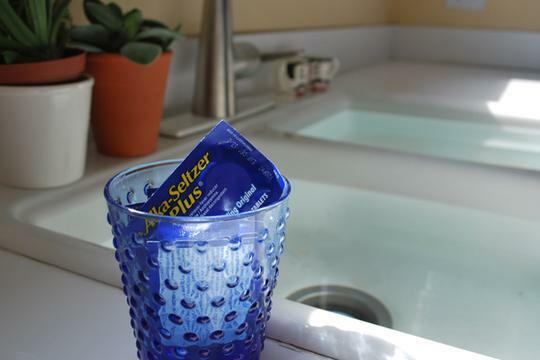 Solution: Next time one of your drains is being a pain, drop three Alka-Seltzer tablets down the sink followed by a cup of white vinegar. We’re not 100% sure about the science behind this, but we heard when combined together, these ingredients will dissolve grease and other funky things. After about 15 minutes, you can clear the drain with boiling water. Do not attempt this trick immediately after using a commercial drain opener like Drano or Liquid-Plumr. FYI, you can also use this exact same solution to clean and freshen up toilet bowls. Fun MacGyver fact: He mixed it with baking soda to create a smoke screen. Give scuffmarks on tile and linoleum floors the boot using a tennis ball fitted on the end of a broom handle. When rubbed against the floor, the ball will remove scuffmarks. What, you don’t have a tennis ball? Use a sneaker. The bottom of most clean sneakers can easily buff floors. Fun MacGyver fact: He once made a missile out of a broom handle. Ashley, the blogger behind this site, knows a thing or two about being crafty. Just like MacGyver, she likes hacking common office items. 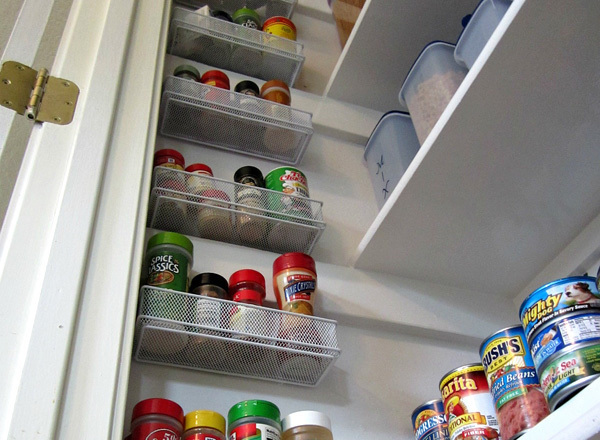 Small office organizers like the ones used for pencils and pens can turn wasted wall space into room for spice storage. Look at the photo to see how small desk organizers instantly became mini-spice racks when placed in front of pantry shelves. Don’t own a few of these clever storage finds? Organizers like these can be found easily at most dollar stores. Fun MacGyver fact: He once hotwired a truck using a bunch of office supplies including a paper clip, a ballpoint pen, and a rubber band. Aimee, the woman who creates all the great content on this site, is no stranger to dirty jobs. So how does she keep her hands so clean? 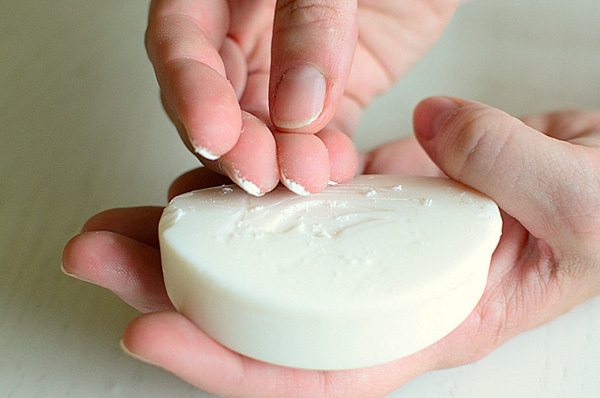 Simply pack clean soap under your talons by rubbing them across a bar a few times. When the dirty work is done, quickly scrub it all out with a nailbrush. Fun MacGyver fact: He was always armed with a Swiss army knife, which included a nail file, tweezers, and a few other grooming tools. Just add a little baking soda to Crazy Glue when filling a small wall crack and ta-da — it becomes a hard plastic you can easily sand or file down. Turn a can of air duster cleaning spray upside down and spray your target. Doing so will “freeze” the glue, making it easy to undo the joint or pull the sticker off. You will not want to miss the chance to see this home first hand! If you aren’t local and still want to take a look at this unique home-take a look at the 3-D virtual tour by clicking the photo below!